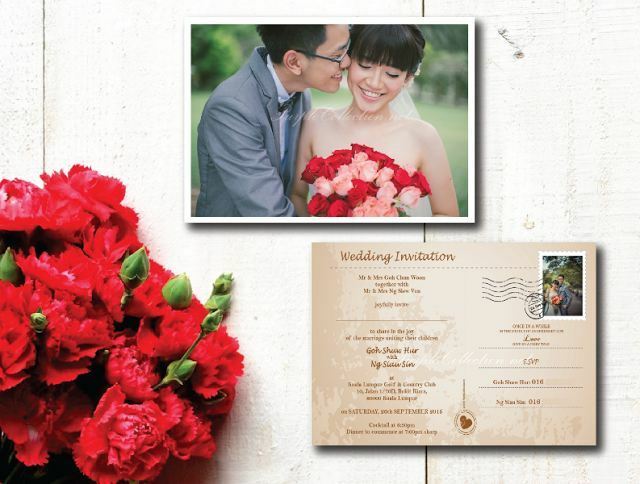 To inquire about postcard invitation, please submit your inquries here for quotation. Add on such as satin ribbon, rhinestone, change of colour, etc is available on request. Own design with high resolution files for printing is welcome too!